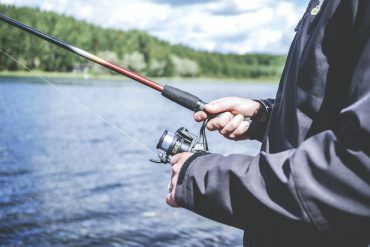 In an effort to find the best urban fisheries our province has to offer, I’ve contacted tackle shop owners and avid anglers from the ten biggest urban centers of B.C. These are the best fishing spots in each one, with a few honorable mentions mixed in. 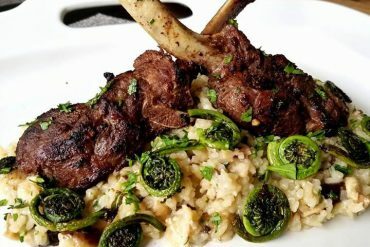 Make sure to check them out next time you are in these cities. Enjoy! With over two million people, the greater Vancouver area is the largest population center in the province. 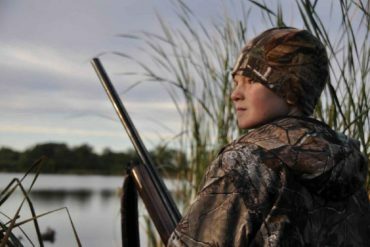 Despite a dense population, there are many fishing opportunities in the metro area both freshwater and saltwater. 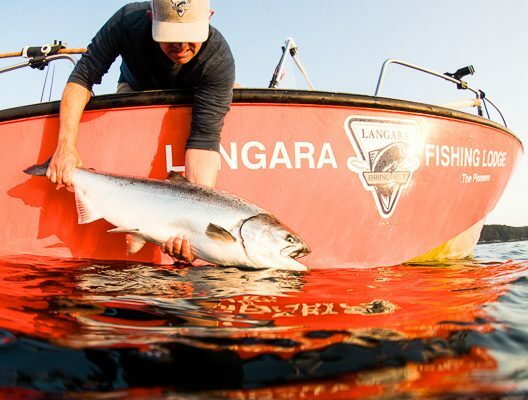 The brackish lower Fraser River is a home to a wide mix of fresh and saltwater species such as flounder, bull trout, cutthroat trout, white sturgeon, northern pikeminnow and of course, epic runs of all five species of pacific salmon. 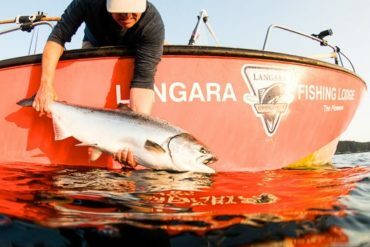 On a typical year, the Fraser is chock-full of salmon from July to November, however, make sure to check fishing regulations online as the river can periodically open and close depending on the strength of returning runs. Don’t forget to pick up a saltwater fishing licence if you intend on fishing downstream of the Mission Bridge. Honourable Mention: Trout Lake, Burrard Inlet. 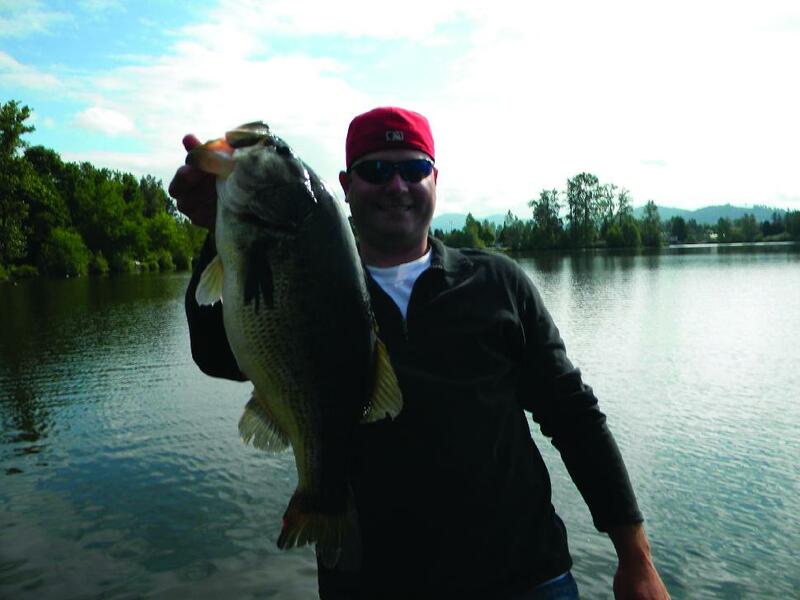 Elk Lake receives a ton of fishing pressure, but it still manages to be one of the best fisheries around. There is excellent shore access and a wheelchair-friendly fishing dock allowing everyone a chance to try their luck on this excellent fishery. Stocked rainbow trout are a popular catch as they grow rapidly in this nutrient-rich lake and can reach five pounds in a few short years. Slower-growing but just as abundant, smallmouth bass are the other popular quarry Elk Lake has to offer. 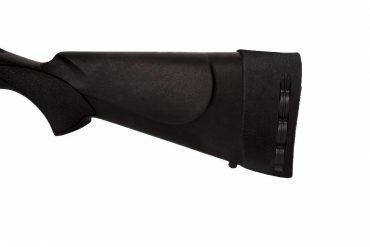 Bass up to six pounds are caught with regularity, with reports of fish in the seven to eight pound class. Yellow perch, sunfish, catfish, carp, and largemouth bass are also available in this fishery, with Beaver Lake the hot spot for the spiny-ray species. Honourable Mention: Thetis Lake, Langford Lake, the Pacific Ocean. Mill Lake in the heart of downtown Abbotsford is the prototype for urban fisheries. It receives heavy fishing pressure, but is regularly stocked with the Fraser Valley Catchable strain of rainbow trout from the nearby Freshwater Fishery Society of B.C.’s Lower Mainland hatchery. The FFSBC also “retires” their large broodstock trout to Mill Lake leading to incidental catches of monster rainbows in this tiny lake. I’ll never forget walking along the wooden boardwalk for the first time and locking eyes with a 10+ pound rainbow trout cruising in only a few feet of water. The lake also has a self-sustaining population of pumpkinseed sunfish, largemouth bass, and brown bullhead, each of which can reach above average size in this small urban fishery. Bass over seven pounds are also caught here every season. Fishing access is excellent, as trails circumnavigate the lake, with a wooden boardwalk crossing into the lake and a public fishing dock next to the boat launch. Honorable Mention: Fishtrap Creek, Fraser River. Okanagan Lake is the largest body of water in the Okanagan River system winding over 150 kilometers through the three major Okanagan cities of Vernon, Kelowna and Penticton. While its large size can seem daunting, there is ample shoreline access for the boat-deprived angler. Rainbow trout, kokanee, northern pike minnow, carp, yellow perch and burbot all await anglers with opportunities for each from the shore. Those blessed with a boat can target the large rainbow trout for which this lake is famous. 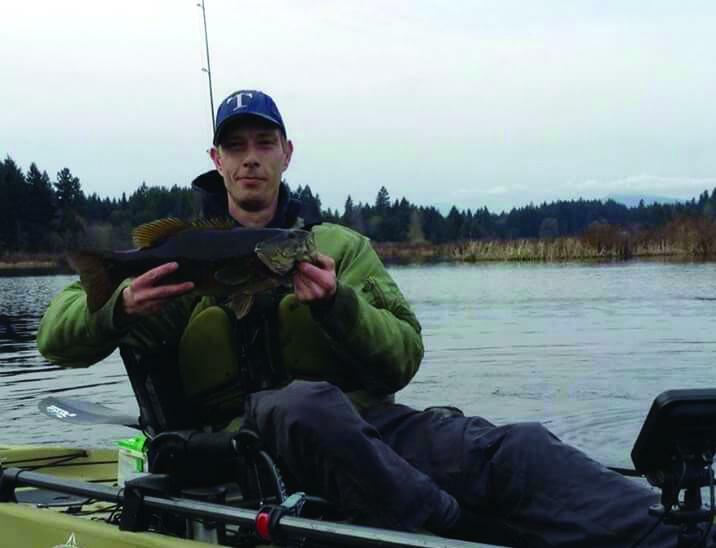 Fish over 10 pounds can be caught regularly, especially in the colder months when anglers troll the middle of the lake with bucktail flies and wooden Lyman plugs. Local guide Rod Hennig is the one to talk to for those looking to hook into one of these trophy trout. He can be reached at 250-768-1525 or through his website at www.kelownafishing.com. Honourable Mentions: Shannon Lake, Rose Valley Reservoir. Quennell Lake lies about 10 minutes south of Nanaimo and offers some of the best fishing Vancouver Island has to offer. 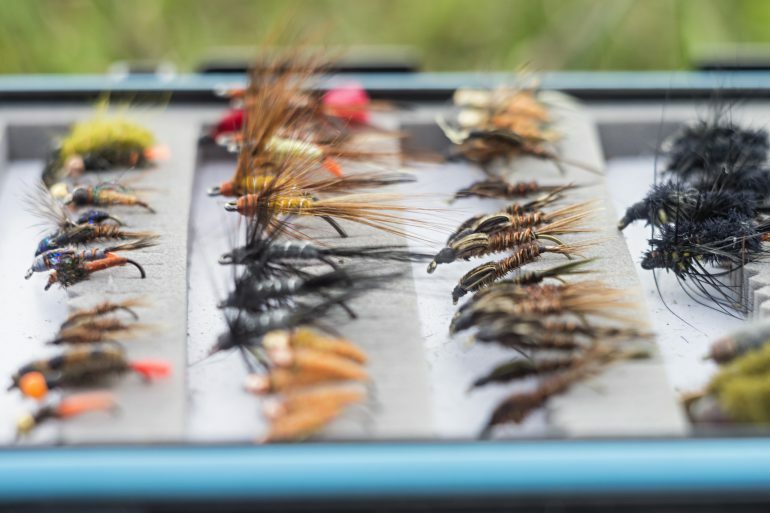 Cutthroat and rainbow trout are popular targets, and trolling spoons or flies is an effective way to put both in the boat. There is also a healthy population of smallmouth bass in the tannin-coloured waters of Quennell, with fish averaging in the one to three pound range and bigger fish possible. Shore-bound anglers can rent boats for a modest fee at Zuiderzee Campground. Quennell long had the distinction of being the site of my personal best smallmouth bass of 6 lbs 5 oz up until a few years ago when that fell at bass hotspot, Osoyoos Lake. The Nanaimo River is another good local spot that receives salmon runs and holds a population of resident cutthroat and rainbow trout. 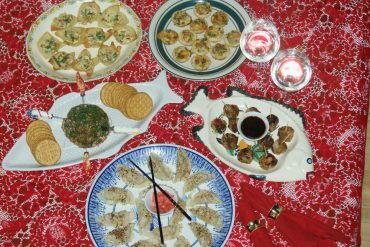 Honourable Mentions: Long Lake and the Strait of Georgia. White Rock is an oceanfront city, which means you are never too far from the fish. With fishing piers stretching out into the ocean, there are ample fishing opportunities for not only fin fish but crab and shellfish as well. 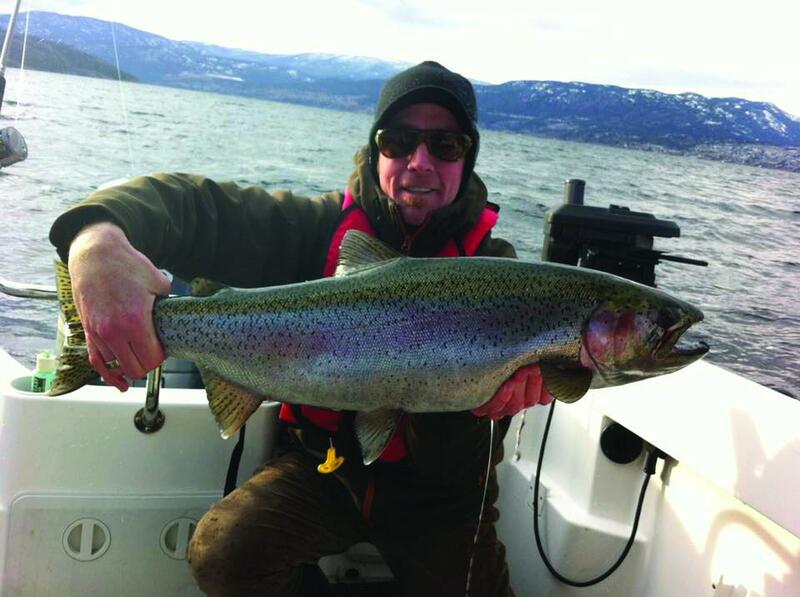 Anglers with a boat can target salmon in the ocean as well as halibut and lingcod. 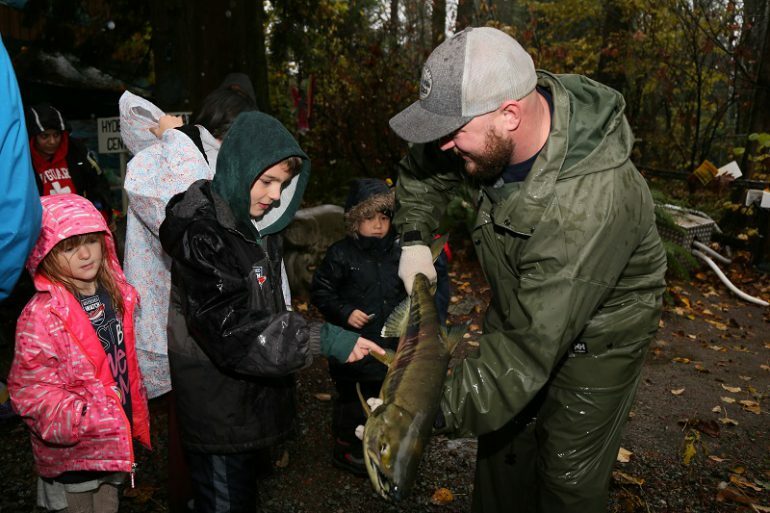 Salmon, sea-run cutthroat and steelhead will also head into the shallows chasing baitfish and to spawn in nearby rivers. The White Rock pier is a popular spot to fish for rockfish and flounder as well as to bait a trap for crab. Remember to check local regulations on fish retention as rockfish populations are sensitive due to their slow growth and past fishing pressure and fishing for them is closed in some areas. 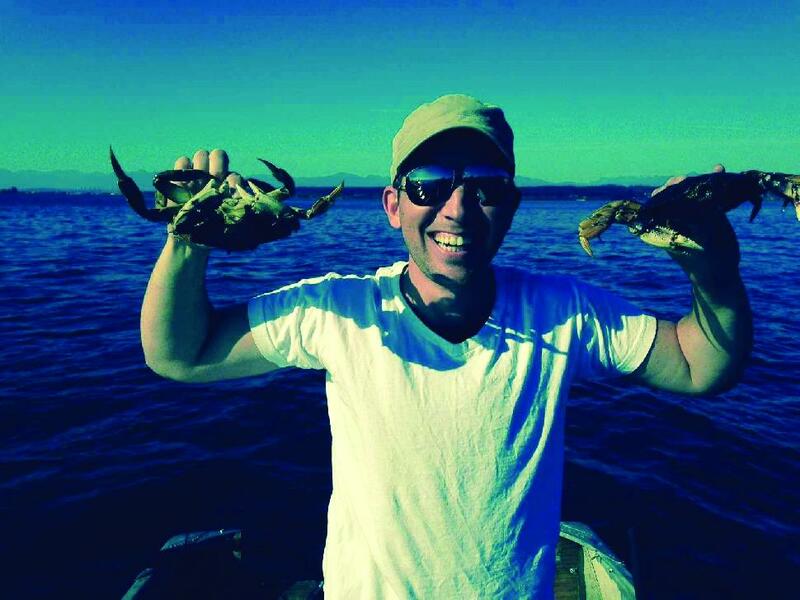 There are also minimum shell sizes for both red rock and Dungeness crab so make sure to measure before you keep. 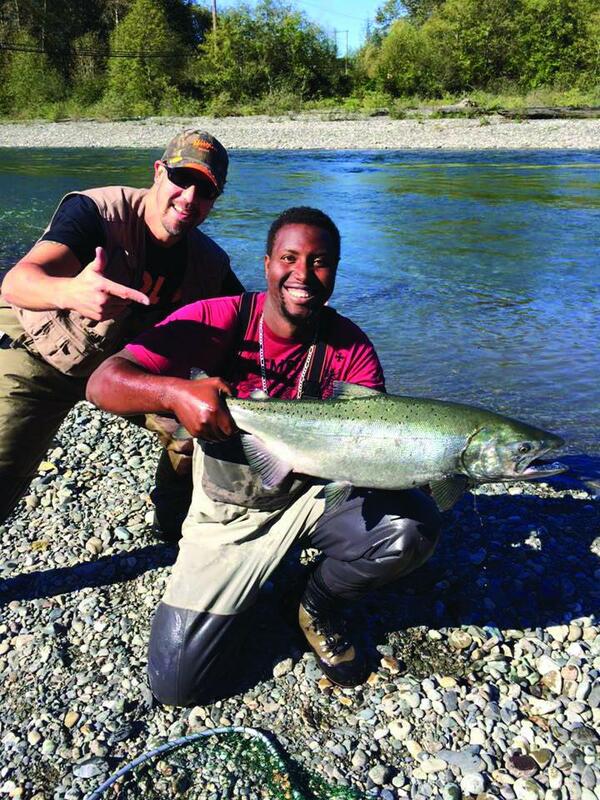 The Thompson River is truly one of B.C.’s trophy rivers. Its blue waters run rich with salmon and steelhead runs at certain times of the year and abundant resident rainbow trout and whitefish populations year-round. 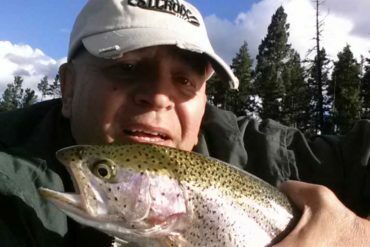 It is a popular destination for steelhead anglers targeting these trophy-sized sea-run rainbows and also fly anglers after their stay-at-home cousins. Honourable Mention: Most of the lakes surrounding Kamloops offer excellent trout fishing, take your pick. The Vedder River gets a ton of fishing pressure, but also holds a reputation as one of the best rivers in the Lower Mainland. Every fall, the Vedder shines silver with spawning salmon, and after they die out, they are replaced by trophy-sized steelhead. Resident trout and char populations are present year-round as well as some whitefish as well. When the fish are running, it is rare to have a pool to yourself but what it lacks in privacy it makes up for in beauty. It is one of the most breathtaking spots in the entire Lower Mainland and the fish that call it home are equally beautiful. 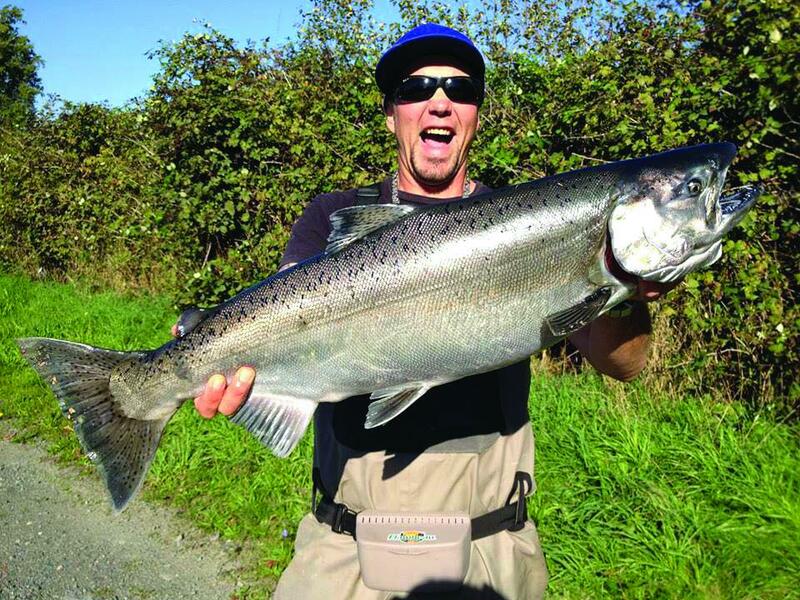 Don’t expect instant success if you are targeting steelhead, however, many dedicated steelhead anglers fish days on the Vedder without a single fish. But when that bite does come, it could likely mean an angry 12 to 15 pound steelhead on the end, which is possibly the ultimate freshwater experience a North American angler can encounter. Honourable Mention: Cultus Lake, Fraser River. 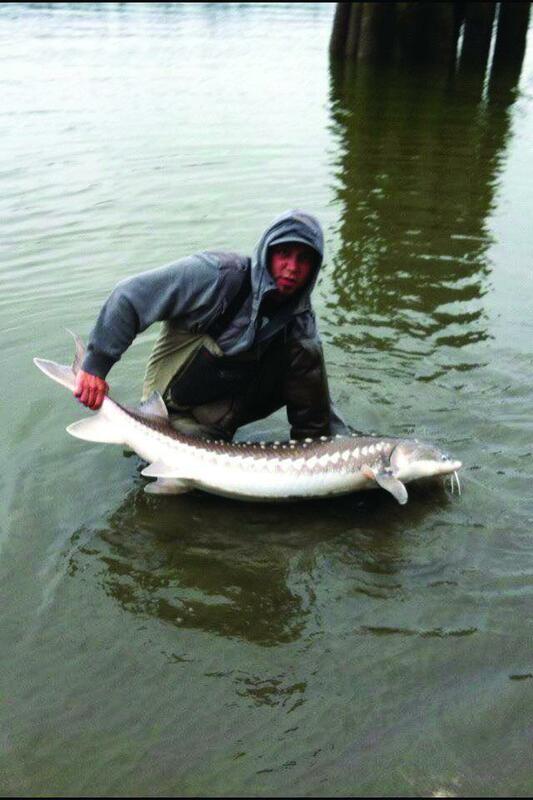 The Fraser and Nechako rivers are both host to prodigious salmon runs and huge white sturgeon, which can be caught right in downtown Prince George. 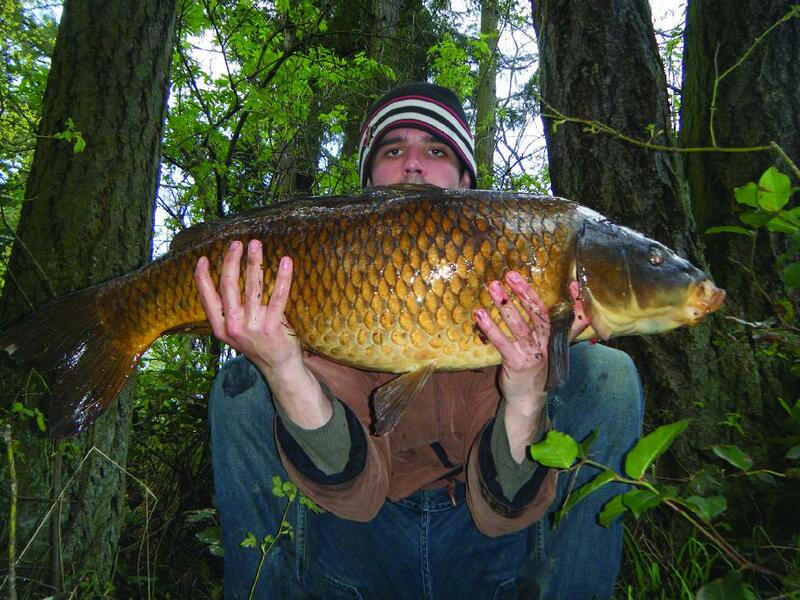 However, the small lakes around the city are home to healthy populations of brook char and rainbow trout. There are also fishing opportunities for bull char and whitefish in the area as well. Kalamalka Lake is a beautiful mosaic of blues and greens to Okanagan drivers who pass it by on scenic Highway 97. While it is well-known for recreational activities, local anglers know it for its phenomenal fishing opportunities. 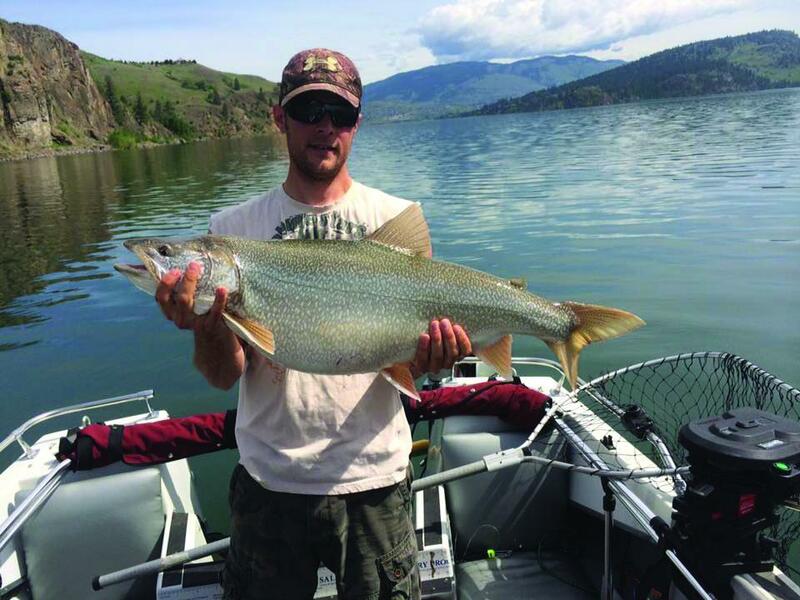 Massive lake trout, up to 30 pounds, dwell in its deep, cool waters, while trophy-sized kokanee to eight pounds can also be found within this North Okanagan oasis. Rainbow trout round out the trophy trinity of Kalamalka, and although they aren’t frequently caught to the impressive sizes of the resident lakers and kokanee, they make up for it in sheer abundance. Look for shoreline access to deeper water for a chance to catch these silver bullets without a boat. I have a friend who frequently attempts this with a fly rod with persistent success for fish in the 14- to 18-inch range. 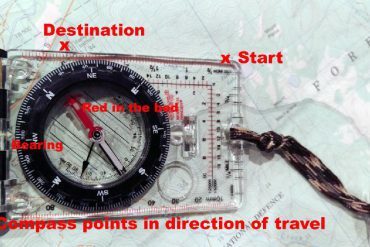 Looking for a spot even closer to Vernon? Check out Swan Lake on the other side of town. Swan Lake is a popular ice fishing spot and receives regular trout stocking. 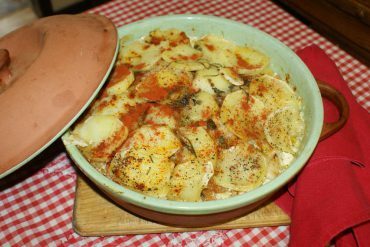 It also has a healthy population of yellow perch, which make excellent table fare. Honourable Mention: Swan Lake, Okanagan Lake, Shuswap River. 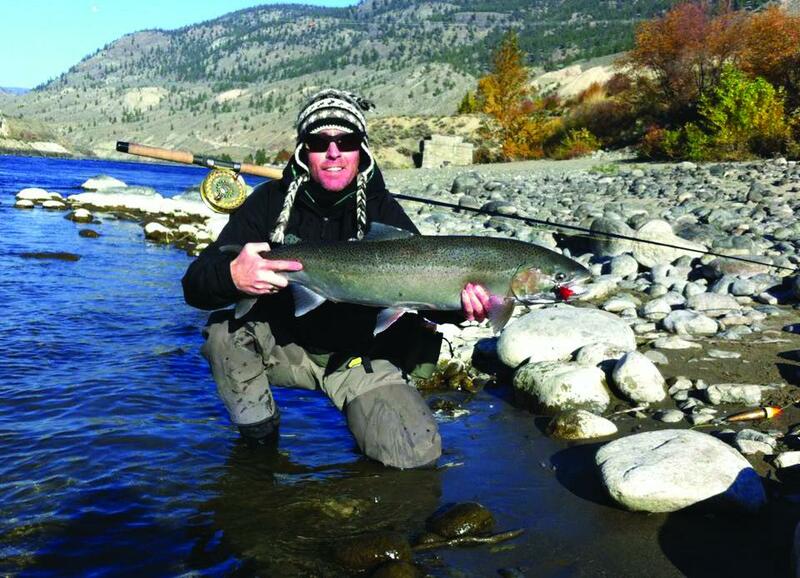 Jesse Martin is a fishing guide from Penticton, B.C. 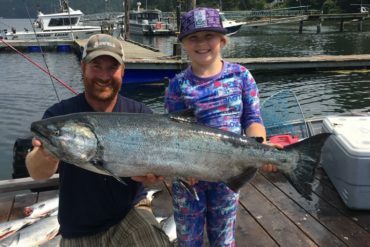 He has lived and fished all over British Columbia, from Stewart to Vancouver Island and hopes to one day land a steelhead on a fly rod.